Сочинение на тему "Some parents think that if there is a computer at home their children will waste much of their time on videogames and social networking." Do computers help students with studying? Should teenagers use a PC while doing homework? This questions have relatively recently been settled and the answers to them are not simple. As for me, I think having a computer at home has a lot of advantages. Firstly, with the help of the Internet a student can find all information about the subject he or she is interested in. Secondly, due to social networks teenagers can easily chat with classmates and even help one another with doing homework. 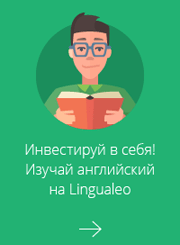 Finally, the Internet is a great place to learn foreign languages for youngsters because there are many programs and sites that make the whole process of learning exciting and interesting. However, some people thing that computers distract students from studying. In their mind, there are many futile videogames that do not let teenagers focus on education and thus can cause a lot of troubles. I cannot agree with these people. There are a lot of useful computer games based on historical, geographical events can really help students learn more about these subjects. To sum up, I would say that computers can easily make teenagers’ life better. If a person is disciplined enough to ignore distractions like instant messages or e-mails, he or she is likely to gain success. Nowadays videogames and social network are the pros and cons of our life. Some parents think that if there is a computer at home their children will waste much of their time on videogames and social networking. Let us discuss this issue. In my opinion, the problem is not is in the computer it is in a child. Firstly, if a child is smart he is not going to waste his time on videogames or surfing the Internet. Secondly, the computer and Internet are the biggest innovations of our century, children need just to use them in the right way, not only to look for new videogames or chat with friends. Finally, the Internet is very useful for everyday life and any person can find any information he wants. Opponents of this view may argue that the Internet effects badly on children in the sense that it corrupts them and makes them angrier. Moreover, they say that a computer has a bad influence on the child's psyche and it is harmful for their health. To some extent it is true. However, this position cannot go further than being an immature claim. Firstly, it is all depends on children whether to use the Internet in the right way on not. Secondly, a computer does not influence so harmful on the health of children if they use it as it said in the rules. To sum up, I want to say that the computer and the Internet have become an integral part of our lives and it up to us to use them in a right way and not to waste time using them.